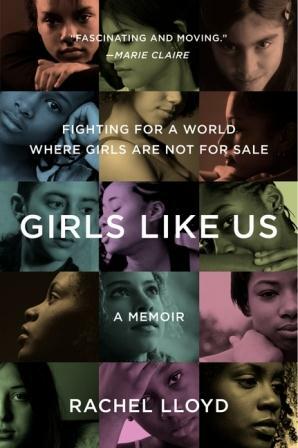 Girls Like Us is an intense recap of the author's life as a commercially sexually exploited young adult. She went on to establish the organization GEMS to help support other young women who have gone through the same thing and is working to help them get out of the life. An intense read. Powerful memories and heart-breaking stories. Not for the light of heart. Lloyd takes the reader through her own experiences. My heart hurts for her as she recaps what she has been through. She is now powerful and strong. She is now paving the way for others. But there was a time when she, too, was broken. The memories that she shares with us would make any reader flinch. The men who abused her. Left her to die at the side of the road (somewhat literally). Took her shoes and made her run. Broke her heart, her mind, her soul. The people - men - mostly men - in places of power who could have helped, but did not. The one that almost killed her. Killed. With his own hands. Pushed her beneath the water in her bath. Held onto her neck until she blacked out. Apologized and moved on. What happens to a young woman that she thinks this life is okay? What breaks her so badly that a failed suicide attempt is almost funny? Her own failed attempt. Where were the hands that should have helped mold and guide her? Missing. They were missing. Removed. Not a presence in her life. Rachel Lloyd is that person to the girls at GEMS. She is those hands. Having worked in social work in New York City prior to moving to NC, I have actually heard of GEMS. I can't recall if I attended a workshop at which they were present, or what, exactly, but I knew who they were. This left me feeling frustrated. If I had known that I was in the presence of the author - if that had even been possible - I would have wanted to go up to her and say thank you. But I was young, myself. A fresh-faced social worker ready to help. Children. Families. Someone. Anyone. How could I have known better? This book will enlighten you in ways you might not want to be enlightened. But you should. You should pick up a copy (or borrow mine!) and educate yourself. 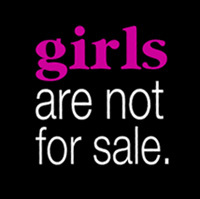 If you're a parent of a young girl you'll want to hold her a little bit tighter and promise yourself, promise her, you'll never fail her the way these children have been failed. ** I was provided with a copy of this book by TLC Book Tours to facilitate my review. All expressed opinions are my own. I was not compensated for this review/post in any way. Heavy reading. I'd like to read this, but I would need to be in the right mindset before I picked it up. Not a pleasant read, but an important one. Thanks for sharing your thoughts on this one for the tour. It is flinch-worthy, it's true. But there were also so many amazing stories, in which the girls persevered and ultimately succeeded. I found that those stories were even more likely to get me all choked up, because once you have a wider understanding of what they've experienced, it's that much more amazing when you catch a glimpse of their triumphs. It was such an impressive read overall. This sounds like a scary, important read. Thanks for shedding light on it.